Ever wanted to start making things with your hands but never got round to learn code? Are you asked to do code in your research and you don’t know where to start? That’s the place! 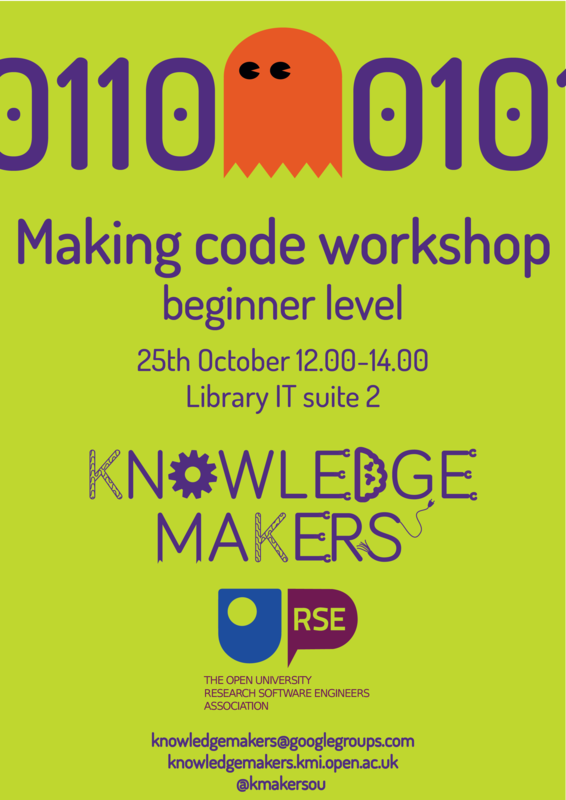 Join us for this [Knowledge makers + OU Research Software Engineering] workshop to learn the basics of coding in Python and start thinking like a programmer! The IT suite in the library has limited space so reserve your seat soon! The workshop is now full. Subscribe to knowledgemakers@googlegroups.com to receive updates and send us an email if you’re still interested.